EDIT: Added the dialog tag cheat sheet. Sorry, folks, I've been AWOL for a couple months working on lots of cool things. And I'm not returning empty handed. Here's the first in an ongoing series of writing articles I've been preparing for our friends over at Radish. 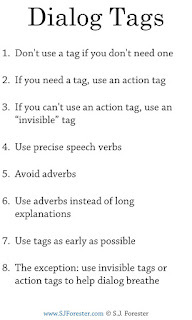 This one covers my basic rules on writing dialog tags. Check it out here. 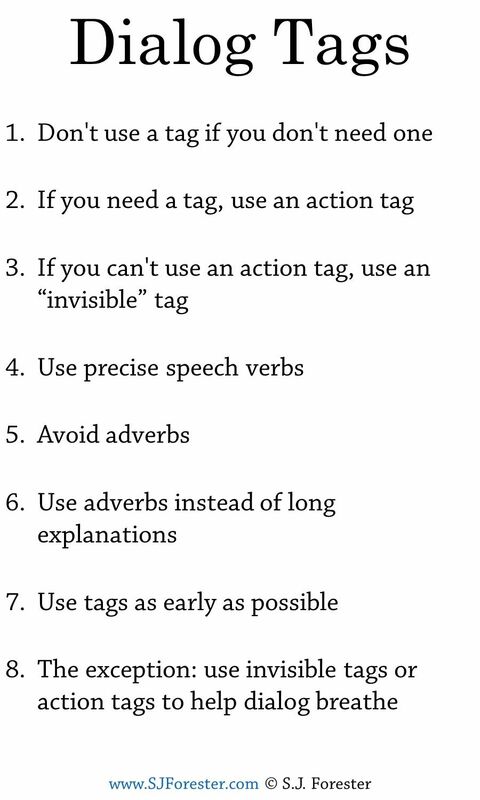 Here's a cheat sheet for dialog tags. Enjoy!